Which is to say that I have some book recs but they’re some of them ARCs so some of these won’t be out for a while. Usual apologies for the long paws, as Rex would say. My fairly decent excuse is that I have finally delivered (delivered three separate times in fact (1)) the MS for my sequel to Children of Time, which has gone through various working titles but is currently known as Children of Ruin (2). So that’s a thing, and a hell of thing it has turned out to be. Next up is another SF the details of which are still coalescing. 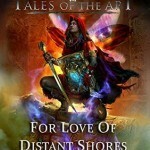 In the interim, since my last post, The Hyena and the Hawk and my new Shadows of the Apt piece For Love of Distant Shores are both out and available, along with the mosaic novel Dracula: Rise of the Beast in which I have a novella, Noblesse Oblige, with the titular vampire going head to head with historical vampire Elizabeth Bathory. 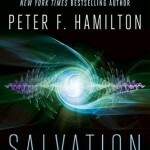 Peter F. Hamilton is a name I suspect most of you will be more than familiar with, and I’ve had the considerable honour of a sneak peek at his upcoming book Salvation. This is ground floor in a new series, set in a future where portal technology is commonplace, and where a party of investigators is being sent to a distant star to a strange alien installation that looks to contain some very uncomfortable secrets. It’s a great book, but for a couple of reasons in particular. Firstly Hamilton plays some fun games with perspective and point of view – there’s a kind of Canterbury Tales element going on as we discover the histories of one of the investigators after another. Secondly, there is some real top notch speculative thinking about how the introduction of portals would revolutionise and change everything, from environmental engineering to simple daily living. One of my favourite sections is a murder investigation trekking through a house where every room is on a different continent or even planet, because if you have the money and the tech is there, why not? There’s also a hell of a twist and setup for the next book which, of course, I can’t talk about. It’s a fantastic read through, highly recommended. 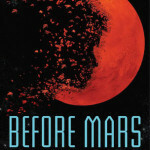 Next, and another truly remarkable piece of SF, is Emma Newman’s latest (released last week infact), Before Mars. This is the next after Planetfall and the Clarke-nominated After Atlas, and can be read on its own, though I think having read AA gives an extra frisson to it as you have a deeper insight into some of the supporting cast. Mars focuses on a geologist and artist shipped to Mars as something of a publicity shot to paint pictures of the red planet for luxury consumption back home. She is also fleeing her domestic situation and her family background, which get pieced out to us over the course of the book. This is the big commonality with the previous books: a sympathetic exploration of the inner traumas of the protagonist, something that Emma excels at. In this case, waking up already uncertain about reality after a journey spent in immersion, meeting a Mars that she can’t tell from the VR video games she used to play, the narrator finds herself starting to question everything around her: is it her, or is it Mars…? Genuinely gripping, and a worthy successor to the previous two, with at least one more to go, I am informed, in the series. 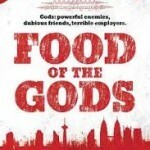 Food of the Gods collects Cassandra Khaw’s two novellas Rupert Wong, Cannibal Chef and Rupert Wong and the Ends of the Earth to bring us the titular character, formerly a very bad man bound for hell, now a very good chef bound to prepare all manner of anthropophagic delicacies for the ghouls of the Malaysian underworld (underworld in more ways than one). Rupert is one of the all-time likeable first person narrators. He doesn’t mince words (though he does everything else) in his frank exploration of clashes between pantheons, encounters with gods, dragons and monsters and culinary contests where there’s only a fine line between loser and next course. These books are hilarious, fast-paced, smartly written and well-plotted, with the added bonus of drawing from a whole huge section of mythology that western literature seldom gets to appreciate. 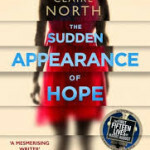 Finally, Claire North, who wowed me utterly with The First Fifteen Lives of Harry August has absolutely done it again with The Sudden Appearance of Hope, which is as mind-blowing as its predecessor. When she was young, Hope started to fade out of people’s lives, until even her own family just forgot she existed the moment she left the room. Now she’s had a chance to adapt to her odd talent and is making a living as a very brash jewel thief, while slowly dying inside because she can’t connect to anyone human for longer than a single evening before she vanishes from their memories. The one person she’s real to is the police detective trying to catch her, and even then she only exists on paper, as a theory. Except that, all that, isn’t even what the book’s about, because her larceny opens the door on something very different and very sinister going on at a global level, creeping into people’s lives as invisibly as her… Hope, like August, a very weird twist on the superhero narrative, with the oddest superpowers imaginable, thought through to their fullest extent. (1) Submitted, submitted with some fairly hefty changes following agent comments, submitted once again after Nick Bradbeer got back to me with some rocket science comments. (2) Not Peanut Butter Spider Time, sorry. Finished 'Children Of Time' this Sunday itself. 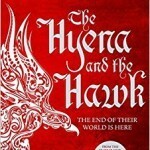 It is riveting, entertaining, innovative, smart, clever and 'un-put-downable' . 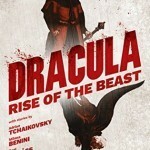 Didn't know there was a sequel coming, awaiting for 'Children of Ruin' now. Thanks for 'Children of Time', it has widened the scope of my imagination as well (at the same time inspiring me to resume a piece of Sci-Fi short I am trying to finish since a year). so incredibly excited for CHILDREN OF RUIN! I just (two or three weeks ago) discovered your books when I read Children Of Time, and have been bingeing on your other books since. I've also pre-ordered The Expert System's Brother. You're up there among my other favourite authors of Robin Hobb and Joe Abercrombie. Thanks for the great writing. And like the others, I'm also looking forward to Children Of Ruin. I didn't realise either that there would be a sequel, but when I finished COT I remember hoping there would be one "some time"!